What's the long and short of it? 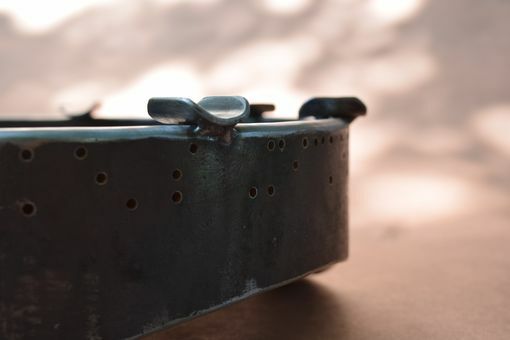 This listing is for one large steel coffee-table ashtray that will be handmade to order. Up until now, all of the Big Purple Barn's cigar ashtrays have been single-user pieces. But, cigars aren't just for smoking alone, are they? 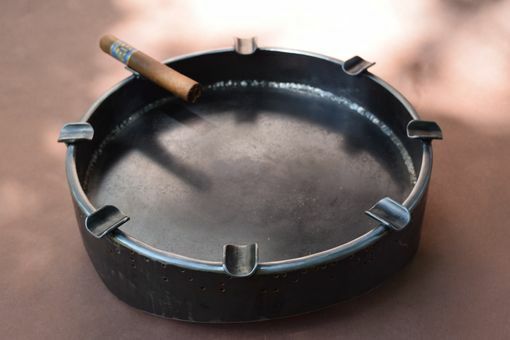 So, you can now order a big ashtray for your cigar lounge, patio, living room, or favorite barbecue spot. These trays are heavy, solid, and if taken care of they'll last forever. Best of all, they're made to match you; We'll work together to build an ashtray that suits your style and needs. Purchase price will cover most designs and up to eight cigar rests. You'll have the option to add Braille personalization, up to eight cigar rests, and more! When ordering you'll need to decide between a painted or "raw steel" finish. 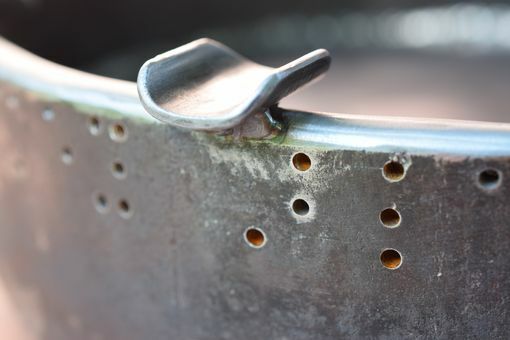 The sample ashtray has a raw steel finish. 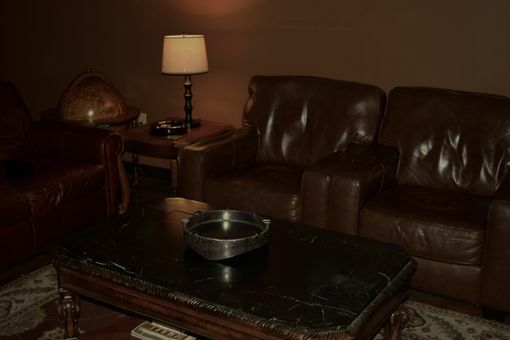 You may also choose to order a large tray with a built in pedestal, or without cigar rests. 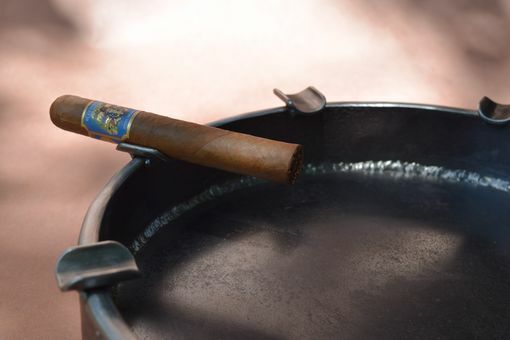 Rim Diamater w/ Rest, 13 1/4"
Rim Diameter w/o Rest, 12 1/4"
Sale does not include a cigar. 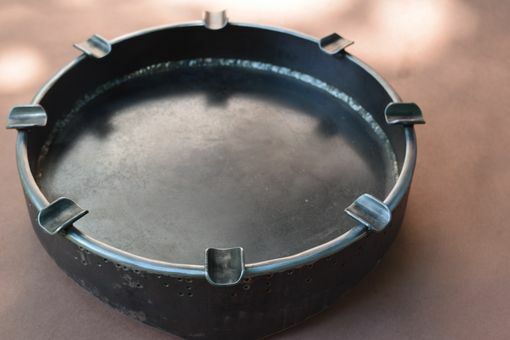 These trays are made of raw mild steel - they are not stainless. If left in the rain or otherwise allowed to get wet, they will rust.